Family plays such a huge part in my life so when I saw this sentiment I wanted to create a cad simple enough to showcase this beautiful sentiment. 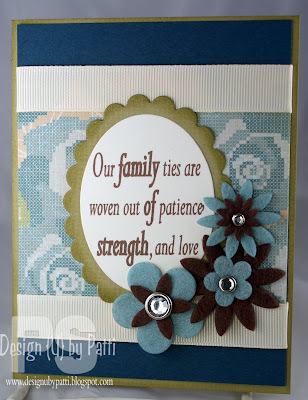 The stamp is a Creative Clear Stamps Sentiment Single "Family of Strength". 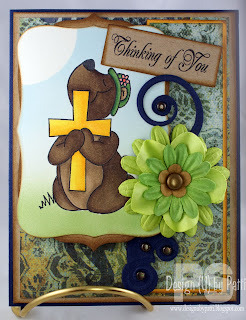 Check out all the amazing and thoughtful Sentiment Singles on the Creative Clear Stamps website. 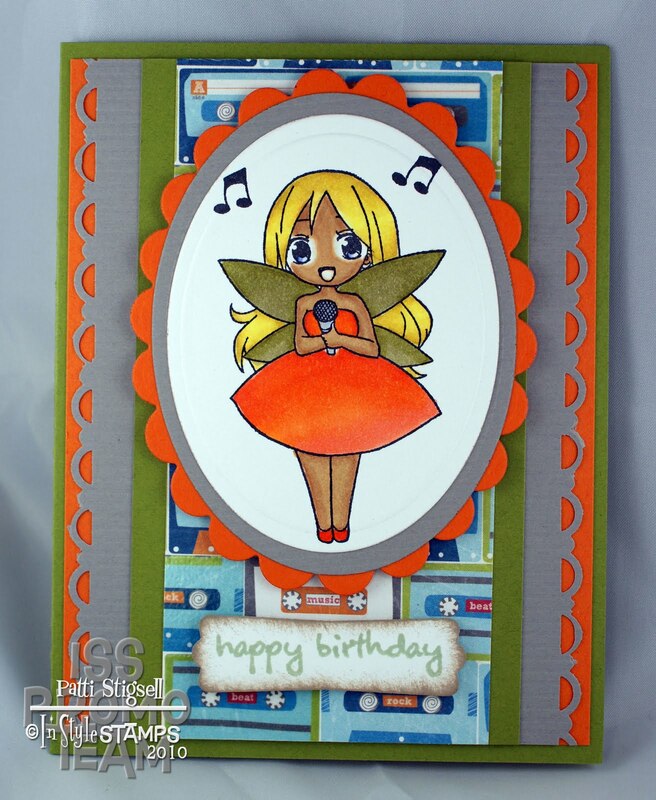 Cardstock is SU! and DCWV. Layered using my Nestibilities and finished with a group of felt flowers. So if you enjoyed this card take a minute to tell your family how much you love and appreciate them! Happy Thursday! It's Riley and Company challenge time again and it is my turn to issue the challenge! 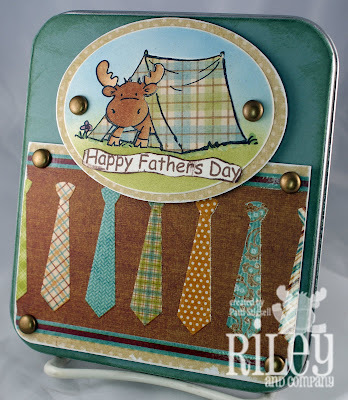 The challenge is to use Riley and Company stamps to create some type of packaging. You could decorate a bag, make a bag topper, create a gift set or what I did was decorate a DVD tin to be used as a gift card holder. I used Tent Riley. I paper pieced the tent and colored Riley using Copic colors E30, E31, E33 and E35. I air brushed the grass with YG63 and the sky with B41. Cardstock is DCWV and PTI. I used my Oval Nestibilities to cut and layer Riley. Finally I added some jumbo brads for the last touch. We want you all to play along so be sure to post your packaging in the SCS gallery using the keyword Riley1110. You don't want to miss any of the inspiration, so be sure to check out the rest of the Design Teams samples. Leave them some love!! If you have any questions or want Copic colors leave me a comment! 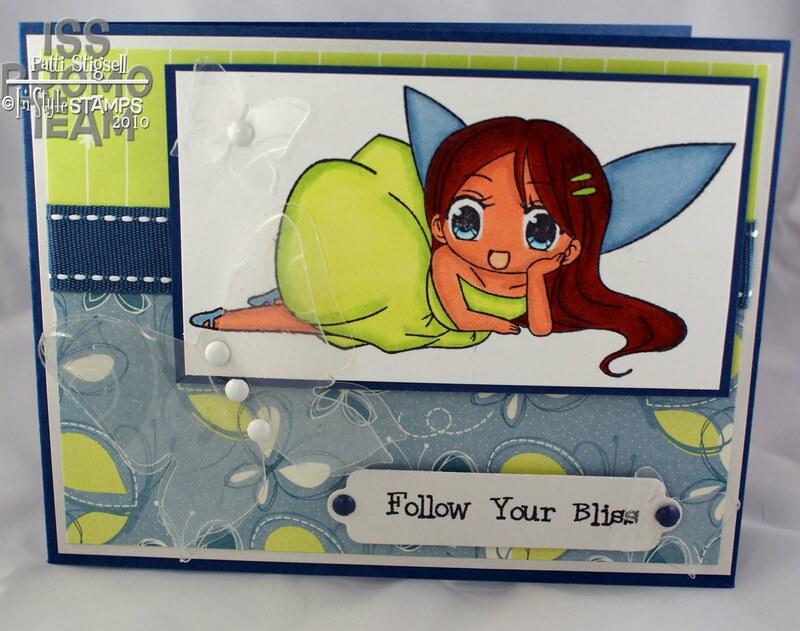 Now be off to check out In Style Stamps entire line of Stamps. 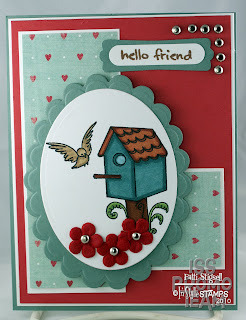 Check back for more In Style Stamps samples I have 11 more! That's what I said 11!! Thursday sure did come around quick this week! 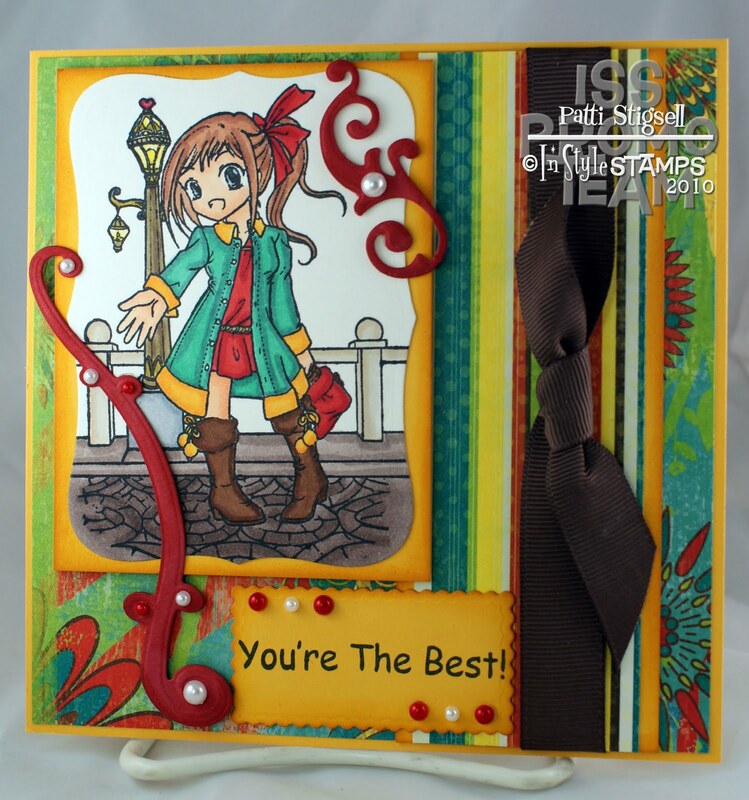 For today I used the main image from the Creative Clear Stamps set "Hip Hip Hooray". This set has the best sentiments plus who could resist that chubby little bear! I colored my image with Copics and layered him using my Nestibilities. Cardstock is SU! 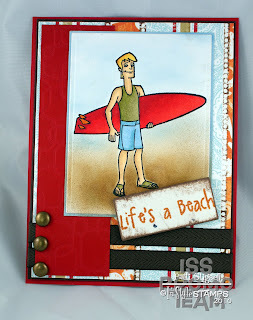 with some DP from a Creating Keepsakes pack. Ribbon is SU! and the border is punched using a Martha Stewart punch. Let me know what you think and Thanks so much for stopping by!! Good morning! 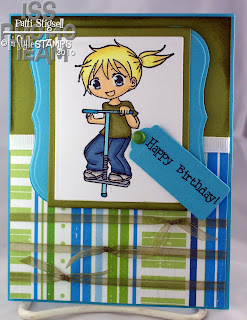 I will be your Thursday girl for Creative Clear Stamps. I decided a Fathers Day card would be appropriate this week. One thing you will probably notice is that a pretty large percentage of my cards can be used for multiple occasions. 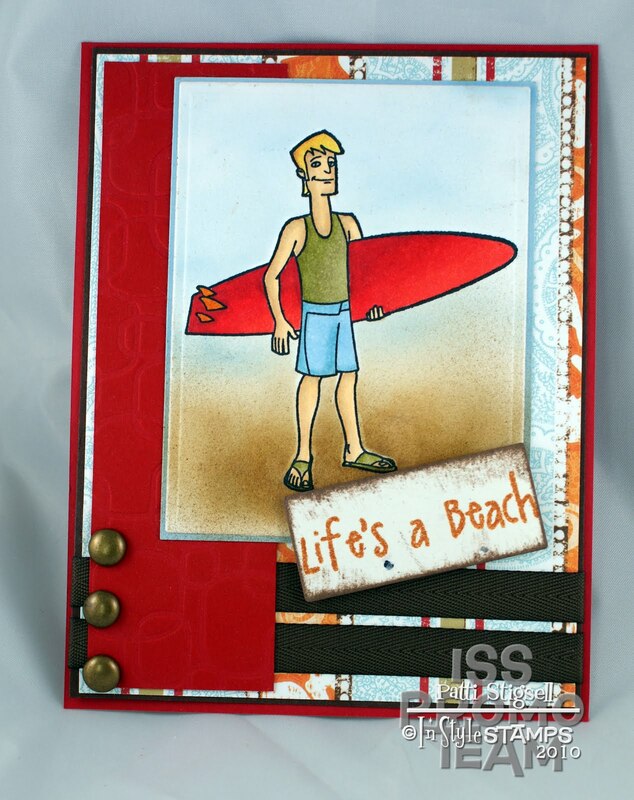 Like today's card could be a Fathers Day card or a masculine Birthday card for the man or boy in your life. For today's card I used "Hooked On Fishing". 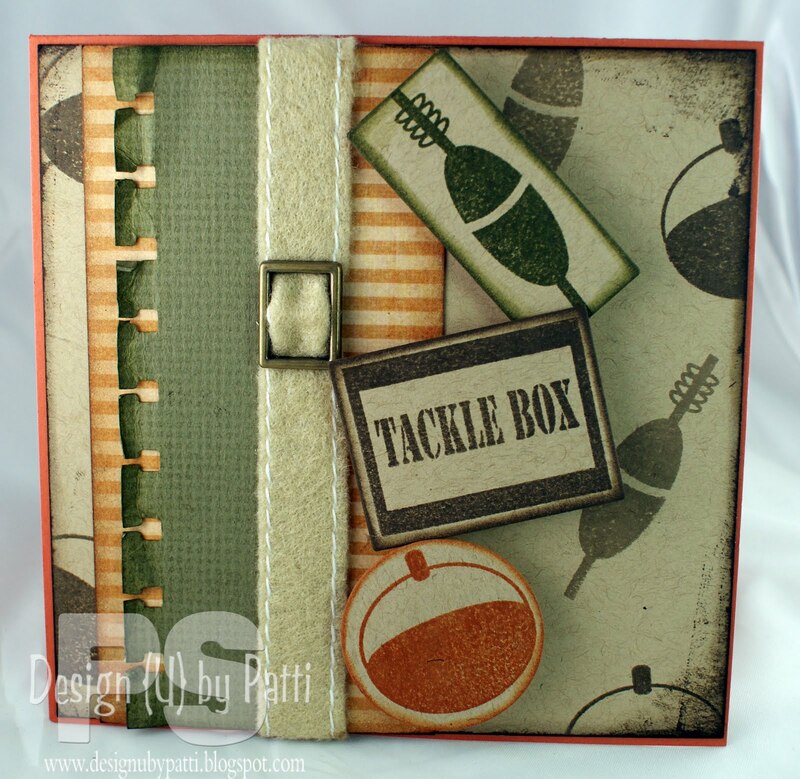 Cardstock is by SU!, PTI and Bazzil. 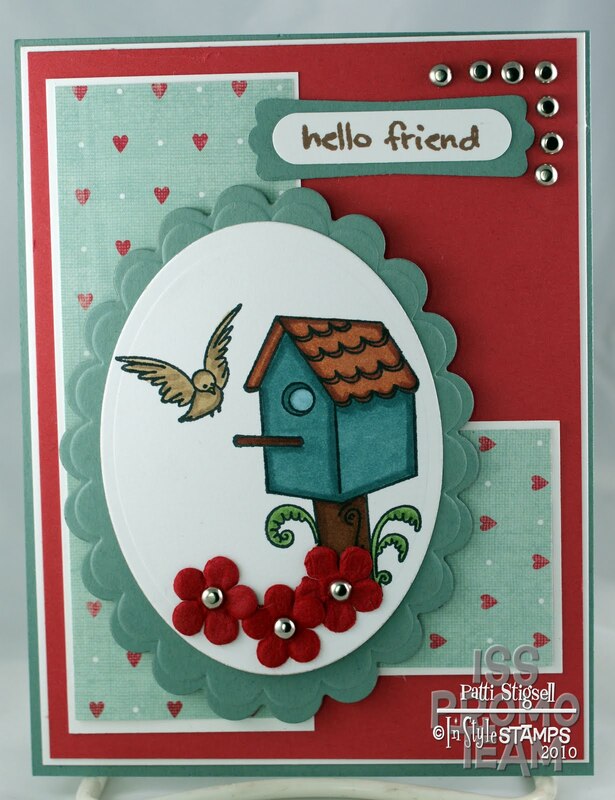 Patterned paper is DCWV. I used a felt saddle stitch ribbon and a buckle for a masculine touch. 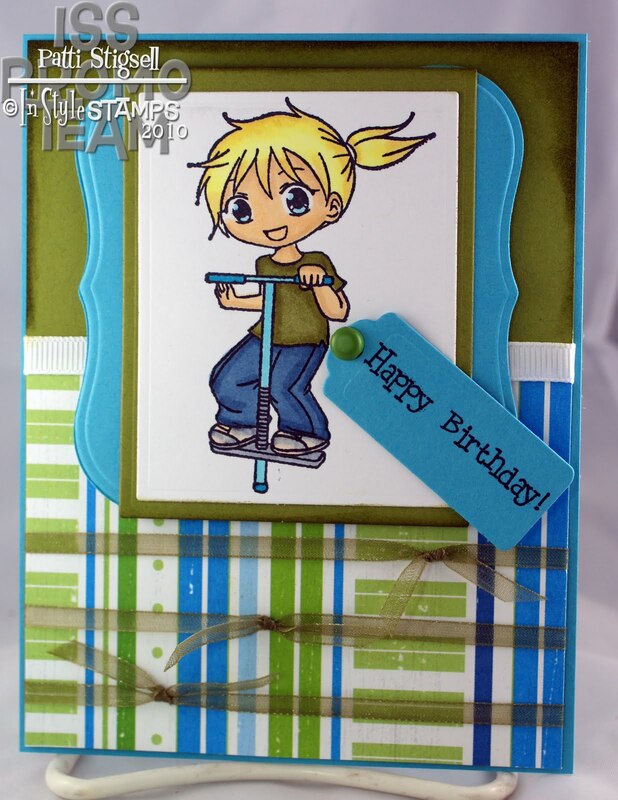 I stamped the images on Kraft CS to create a background paper. Then I stamped a few more images in coordinating colors, cut using various Nestibilities and popped them up on foam tape for dimension. Visit the CCS Store for their entire product line. Have an AMAZING day! For todays Tuesday challenge was created by Cathy Edgar. 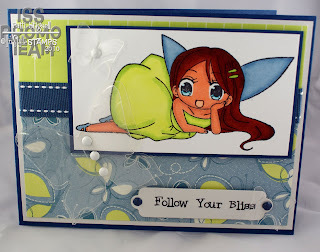 The challenge is a 1 2 3 challenge so for my card I used Bikini Sophie with 1 patterned paper, 2 cardstock colors(Tempting Turquoise & Garden Green) and 3 embelishments (Primas, brads & ribbon). I colored Ms. Sophie with Copics and layered her with my Nestibilities. 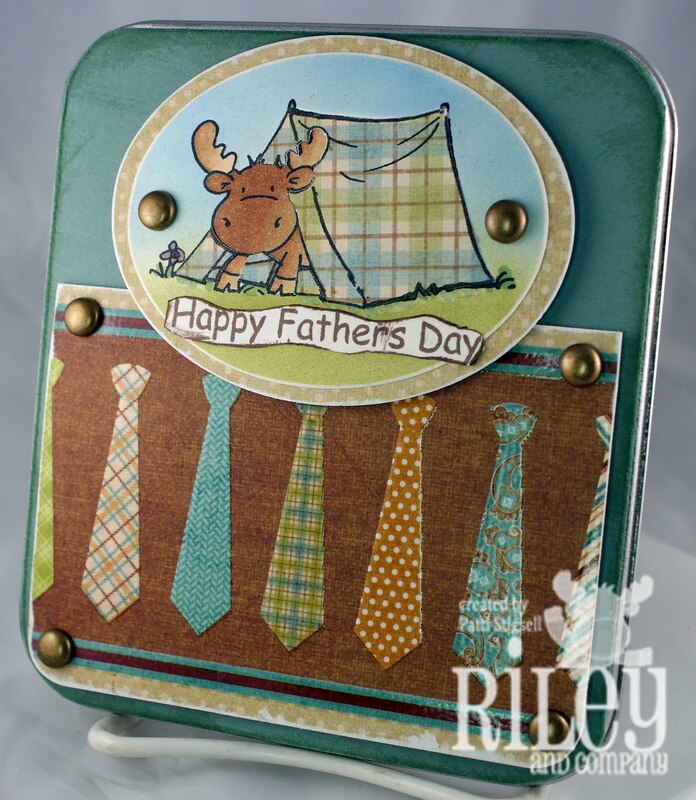 Take a minute to check out the entire DT and don't forget to visit the Riley and Company store for all the amazing Riley and Sophie Moose stamps. You can get them in unmounted naked rubber, wood mouted and cling mounted, something for every style! 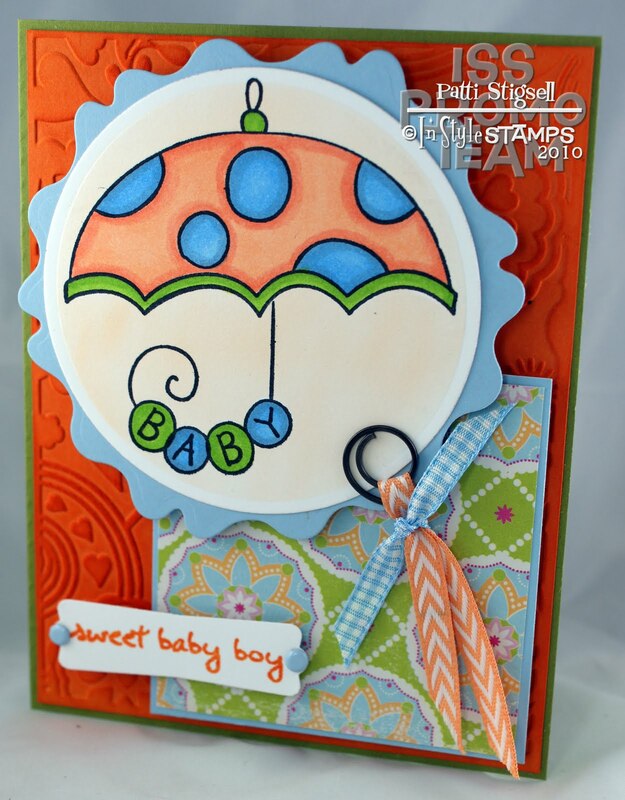 Ready to hop with Creative Clear Stamps? 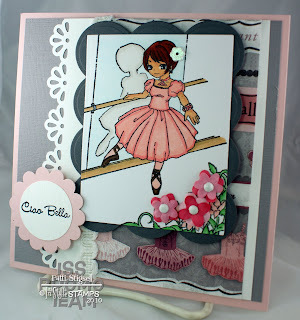 This will be the first Blog Hop for the new CCS Design Team 4. I hope you enjoy my card as much as I did making it. This sweet bear was so fun to color! 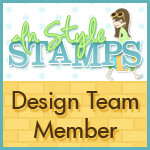 Laura our amazing DT leader will be giving away some tasty Blog candy on the Creative Clear Stamps Blog(you must be a follower to win). She is also the first stop on the Hop, so don't forget to leave Laura some love and become a follower if you aren't already!! 4.Have you ever been on a DT before? 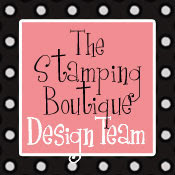 YES, RILEY and CO., IN STYLE STAMPS PROMO TEAM, HANNA STAMPS and THE STAMPING BOUTIQUE. 5.What can we look forward to from you this summer? YOU NEVER KNOW WHAT MY CRAZY BRAIN MAY COME UP WITH BUT I LOVE, LOVE, LOVE TO COLOR WITH MY COPICS SO I MAY JUST TRY MY HAND AT CREATING SOME TYPE OF COPIC TUTORIAL. 6.What are your thoughts for the stamp set DT4 gets to design? THE FIRST WORD THAT COMES TO MIND IS FLATTERED, I AM SO HONORED TO BE ASKED TO HELP OUT WITH SUCH A PROJECT. NOW on to the important stuff. I used the CCS set "Arms of Jesus". I so loved coloring this sweet image. I used the following Copic colors... Cross Y13, Y17 & Y19, Bears Fur E42, E43, E44 & E47, Bonnet G24 & G29. The Grass was airbrushed using G82 along with the Sky using B32. I punched a circle then used it as a mask to create a sun/moon image. I used my Wizard and Nestibilitieses to cut and layer my image along with the flourish. I added some brads and Prima Flowers and there you have it! Thanks for taking a peak! Now hop on out of here you don't want to miss any of the amazing talent! I am happily married to my High School sweetheart and a proud stay at home mom of 6 beautiful and talented boys. My life revolves around my family, unless of course I am in my Studio then I am not really sure what is going on, the boys (ALL 7) like it this way! 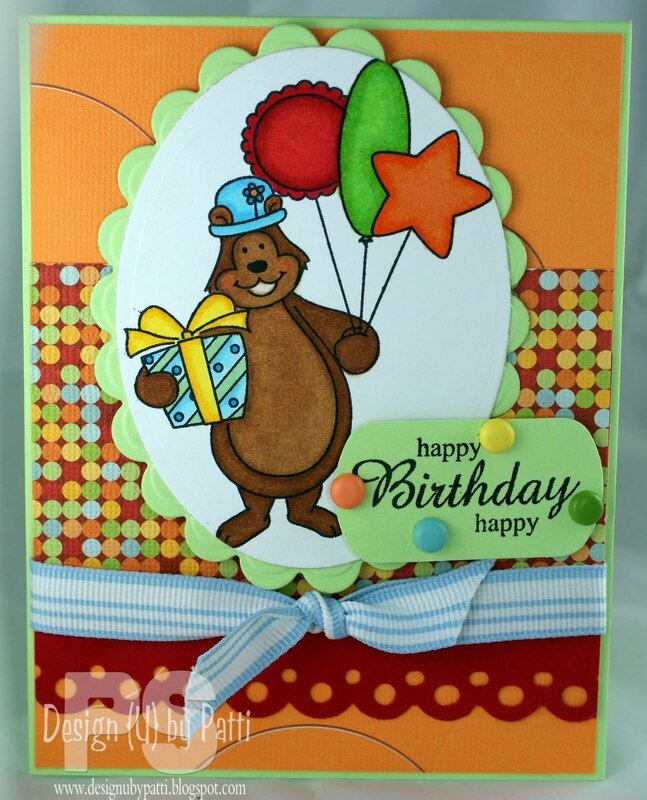 Please email me with any questions you may have or with orders for custom cards and gifts. 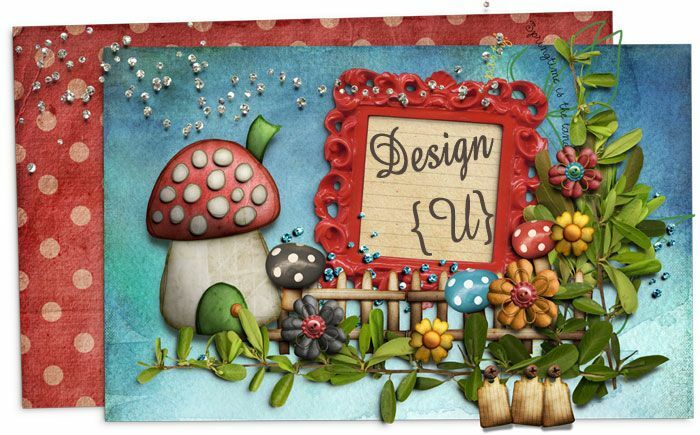 designu@ymail.com Thanks so much! No Wick, No Flame, No Soot!